Beets are one of those foods that you either love or hate. Me? I'm on team love. Jesse? He is on team hate with a passion. 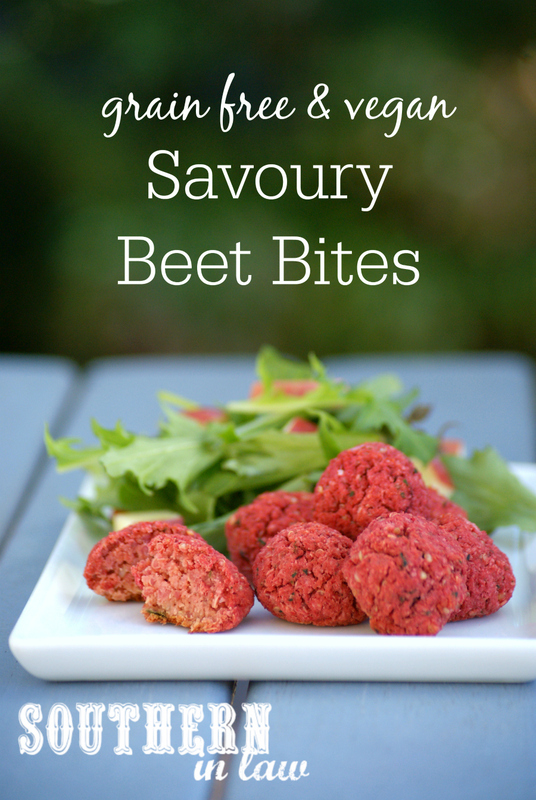 But somehow these beet bites manage to convince even the biggest beet hater to love them too. They're a little bit odd looking with their bright pink appearance, however, they're incredibly delicious and we can't stop eating them. Best of all? They have all the health benefits of beets (and a bunch of other nutrient packed ingredients) in one beet-hater-friendly package! I like to think of beets as an undercover superfood as most people have no idea how awesome they are! They're packed with powerful nutrients that help to protect against heart disease, birth defects and certain cancers and they taste really really good (or so I think!). But when you've got a beet hater like Jesse, the list of benefits could go on and on and on and he still wouldn't touch them with a ten-foot pole. Well... he wouldn't until these beet balls came around. Even my vegetable hating Mum enjoyed them - and she ties as the fussiest person in the house (my sister also shares the top spot). But don't take my word for it! Try them for yourself! Add in your chickpeas and beets, processing until smooth. Add in the rest of your ingredients, processing until everything is incorporated. 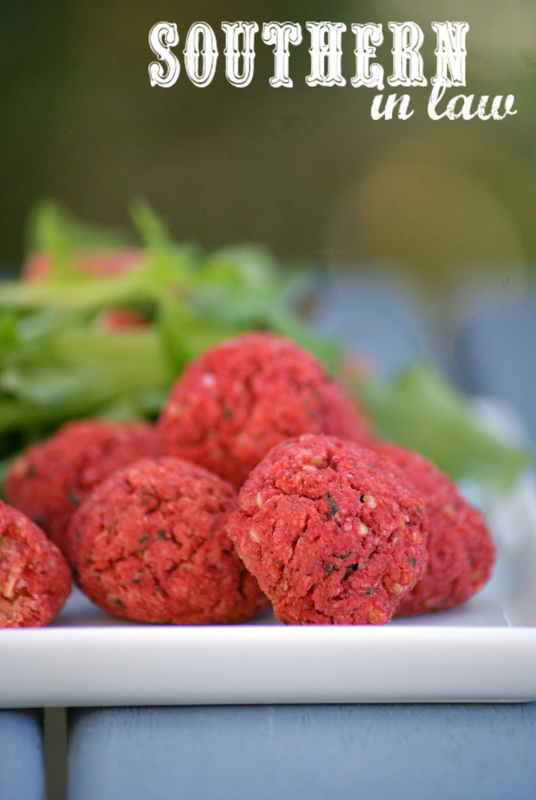 If needed, add a little extra almond meal or some ground flaxseed until your mix is solid enough to form into balls. 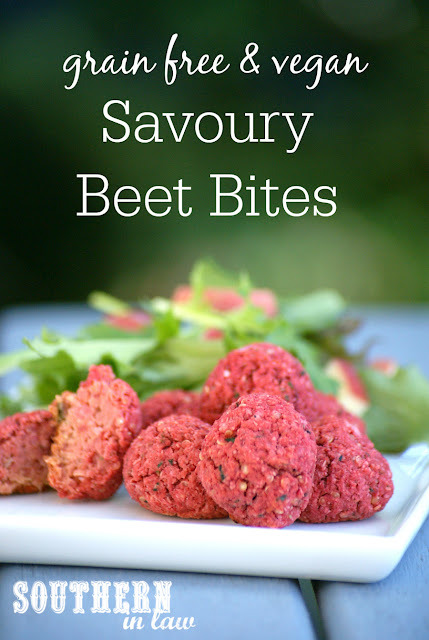 Form your beet bites (we roll about 1 tbsp mix for one ball) carefully with your hands or a spoon (they will be very moist) and place them onto your prepared tray, repeating until all of your mix is used up. Once all of your beet bites are formed, bake for 20-30 minutes, or until firm. They will be golden on the bottom and still feel a little soft, however, they will firm up as they cool. 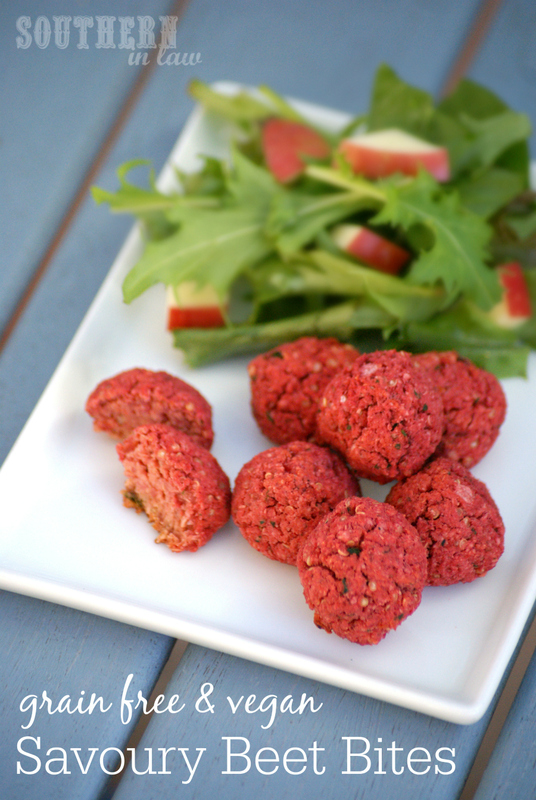 Allow to cool before eating or leave to cool before putting your beet bites in a container and keeping them in the fridge until you're ready to eat them! They will keep for a week or so in the fridge in an airtight container. Beets? Love them or hate them? What's one food that you love that everyone seems to hate? For me it's licorice, beets and veggies in ALL THE THINGS!